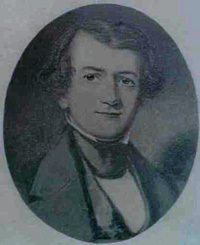 When the Cherokees were forced to leave their homes in the East during the Trail of Tears in 1838–39, Murrell chose to move with his wife’s family to the new land in the West. In Park Hill, Indian Territory, he established a plantation and built a large frame home similar to those he remembered in Virginia. He called the Greek Revival-style house Hunter’s Home because of his fondness for the fox hunt. A rock building was added beside the creek branch over a cold spring to preserve food. Outbuildings included a barn with stables for his horses. Other buildings probably added were a smokehouse, grist mill, blacksmith shop, corn cribs, and small cabins for slaves and employees. Murrell and his father-in-law also established a mercantile business in Park Hill, later moving it into Tahlequah, the capital of the Cherokee Nation. In 1855 Minerva (Ross) Murrell died, probably of malaria. 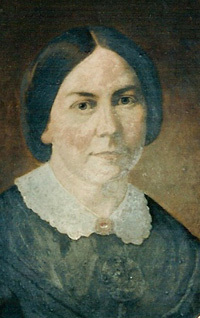 She was buried in the nearby Ross family cemetery. The Murrells had no children, but in 1845 two of Minerva’s young cousins came to live with them. 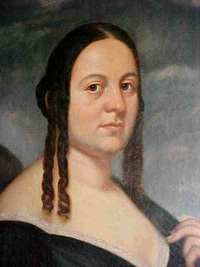 Joshua and Jennie P. Ross were educated by the Murrells and remained close to them throughout their lives. In 1857 George married Minerva’s youngest sister, Amanda, probably at his late wife’s request. George and Amanda would have six children. The first child died as an infant. The second, however, was born in Hunter’s Home at Park Hill in 1861. George Ross Murrell was only ten months old when troop movements and guerilla warfare began during the Civil War, and his parents left the Park Hill area. Eventually, George was to serve the Confederacy back in his native Virginia. George, Amanda, and their family never returned to live in Hunter’s Home after the war. Park Hill was devastated by repeated raids, and most of the homes were damaged or destroyed. Various members of Amanda’s large extended family lived in the home during the war and through the rest of the nineteenth century.